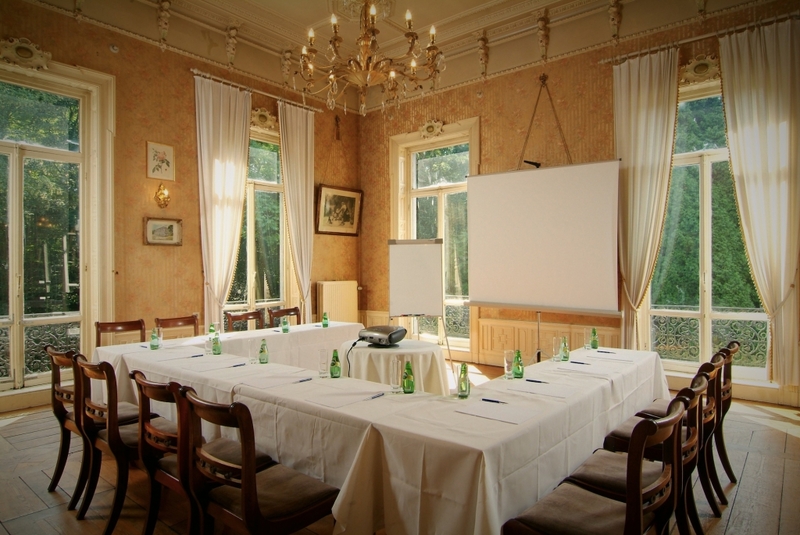 Several rooms are available in Kasteel De Rozerie, united in their diversity. Every room has its own unique theme, due to its original function during former castle life. Each social event requires its proper setting. Hence, our aim is to offer you the best personalised location, or a combination of various rooms to make your wish come true . Please allow us to introduce them. 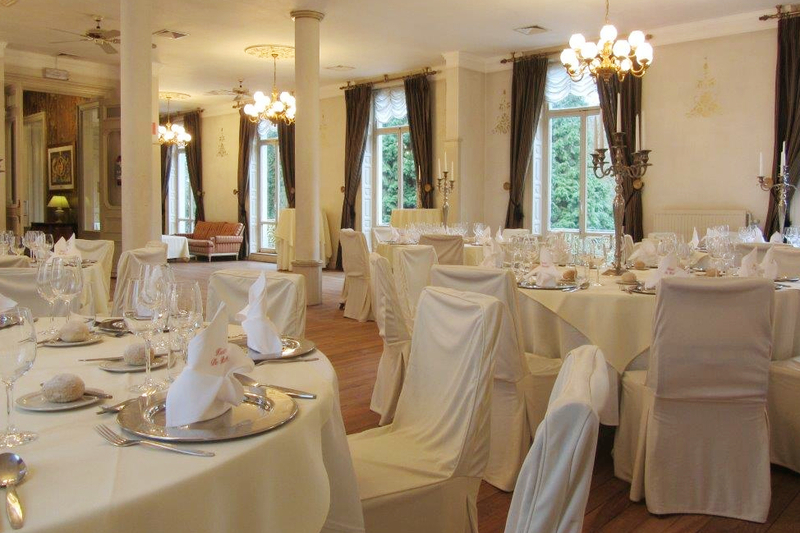 This impressive and charming Eliaert Room has been redecorated with great taste and offers seating for up to 160 guests. 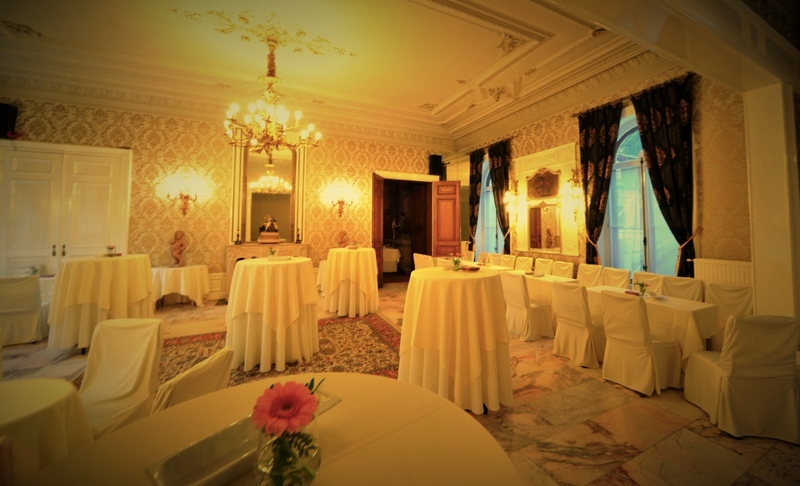 This Bethune room, once the grand salon of the baron de Bethune-de Sully, suits wonderfully for your banquets, receptions, meetings and seminars. Even today, the breath of a warm welcome of days long gone can still be felt. Decorated with putti – hence the name Angel Room- this stylish banquet room is perfect for a private dinner, a seminar or a business meeting for up to 40 guests. Combined with the vast Eliaert Room, this room can easily be used for arranging buffets. A cosy and stylish room with an authentic fireplace, in which the magnificent view on the English garden evokes the relaxing atmosphere of the countryside. 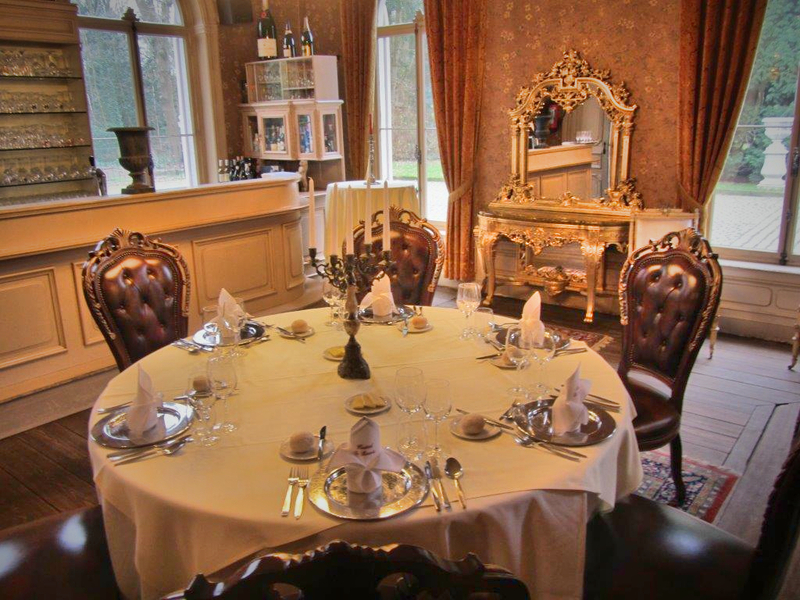 This room allows our guests to offer exclusive dinners for small parties. 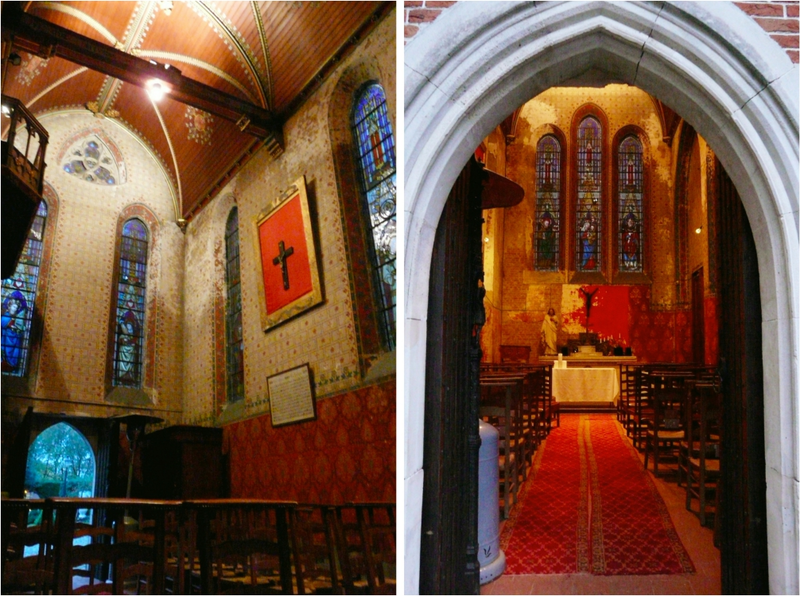 The exquisite venue for your wedding ceremony or communion party. The fine stained glass windows, the decorated altarpiece and the Neo-Gothic wall decorations add extra refinement to any special event you may want to celebrate.